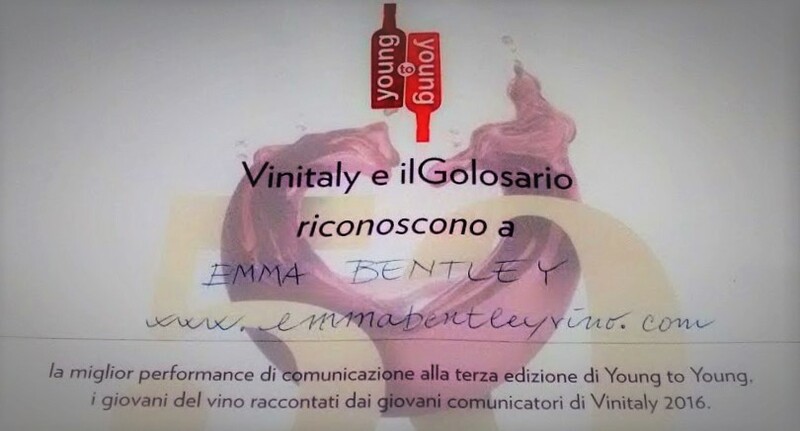 Vermouth is a fortified, aromatised wine. The hallmark botanical for vermouth is artemisia, otherwise known as the mystical herb, wormwood. 8th May 2015 – the day that David Cameron found out that his Conservative Party finally had a majority in the House of Commons. There is something about general elections which excites me. Since coming of age, I have not missed a single occasion to cast my ballot paper. Despite the evident criticism of our first-past-the-post system, having a vote (and using it) is vitally important. I appreciate the fact that until very recently, as a woman, I would not have had the right to go to the polling station. I appreciate the fact that previous generations have lost their lives in order for us to have the freedom to elect a leader. That today is also VE Day brings about an extra pertinence to the election results. One of my strongest memories of general elections was actually Tony Blair’s victory in 1997. Although I hadn’t even reached double figures and I was wearing rather dubious, knee-high, red socks to school, I was caught up in the excitement of all that was expected of our youngest Prime Minister to date. Although it meant potentially missing lunch – and Fridays meant fish fingers, which were my favourite – I distinctly remember chosing to stay in the TV room with my history teacher and two other pupils in order to watch Tony Blair make his much-anticipated arrival at Number 10. It would appear that the intervening years have taken their toll on my childhood naivety. This year, I voted tactically. My constituency was not an even playing-field. Had it have been a question of ideology, that would have been quite another matter, but my local area was engaged in a a tight battle between the Tories and UKIP. Even though the political landscape has changed from those heady days of New Labour, I still avidly follow the results. The BBC live feed was the last thing I checked before going to bed last night and the first thing upon waking up. It turns out I needn’t have worried. To celebrate this historical moment – or rather to forget about it – I decided to bring out my six favourite gins. Dry gins, compound gins and Old Toms. All of these were tasted straight, at room temperature, in professional nosing glasses, from bottles in my personal collection. A suave and sweet nose which completely belies its alcohol content. On first sip, it continues down that same smooth and mellow path… until the explosion of spice hits, that is. It turns rich, smacking and savoury. Fantastic! Aromatically, it is rather muted. There are herbaceous notes mixing with zesty citrus peel. I pick up on a faint trace of lavendar soap too. Later, you have plenty of ripe berry characters – bramble, hawthorne, thistle, rose – which come and go. Predominantly smooth, bar a slight burn on the end. Old Tom is a category of gin that is rarely trendy, scarcely the first to jump out when making an aperitif, and yet, I feel, it deserves a larger role. It is naturally sweeter than the dry or compound styles, but what sets the Jensen’s gin apart is its persistent earthy, and in particular, rooty notes. These are balanced by the complementary floral characters – especially, violet – and the ever-present juniper flavours. There’s a slight discolouration to this gin, which I assume is due to a re-distillation through orange peel and likely also the fact that this bottle has been open for a couple of years already. The flavours are distinctly Mediterranean: sweet juicy oranges and mandarins in syrup. It also reminds me of an overly sweet medicine I used to have to take as a kid. A whole lot more medicinal notes on the mid-palate, and finally a peculiarly sugary finish. Mixed with tonic water and lemon peel, you’re instantly in Spain! This is often one of my go-to gins for making gins-and-tonic. It’s so bone-rattling dry that it makes a great refreshing cocktail. Once you get over the very-present alcohol on the nose when poured straight, you’re able to appreciate the dominant black pepper and juniper aromatics. It continues on that same very straight, dry path, albeit it still with some heat from the alcohol. A classic combo of juniper, citrus and spice… quick, get me a lemon and some ice cubes! When the time comes to cast a ballot over whether the UK should stay in Europe or not, every person should take a quick nip of this gin before picking up the pen. I’m convinced it would be a persuasive tool for why we are better staying within the Union! This very distinctive nose, unique to Monkey 47, is compelling and beguiling. A fresh pine forest, just after a rain shower. I get wave after wave of fruit oils, then fresh grasses and herbs, and finally angelica spice. Complex, bold and yet dastardly smooth. An absolute favourite in my book! How About Some Sweet Potato? When they say you can make alcohol from anything… they weren’t joking. 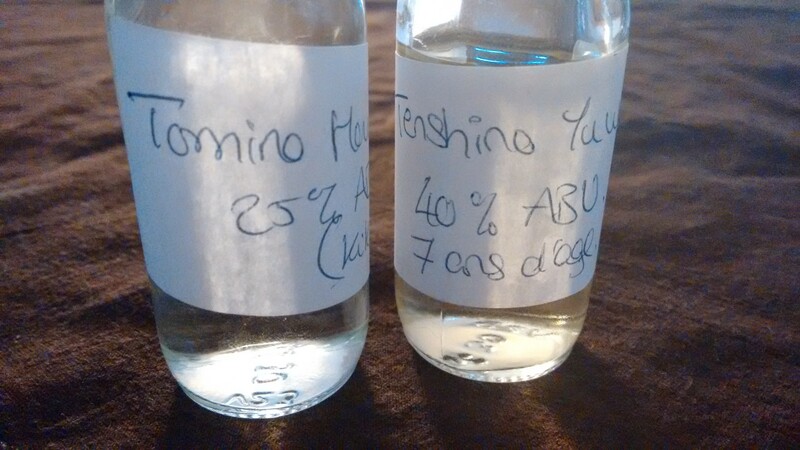 This week, I have two samples of shochu to share with you. In case you’re not familiar with shochu, very simply, it’s a distilled alcohol made in Japan. There has been a huge buzz around Japanese whiskies recently. I’ve been lucky enough to witness the growth of one of these brands first-hand but that’s a story for another day. Shochu will never have that same widespread appeal. It is a far more culturally entrenched product. Whereas whisky has only been made in Japan since the days of Shinjiro Torii and Masataka Taketsuru (grosso modo, the 1920s), shochu can trace its production back over 500 years to the 15th century. The principal components are water, koji, yeast and a base ingredient. You can use practically anything as the base ingredient – 40 different possibilities are permitted – but the most common are rice, barley and sweet potato. But first of all, you have to choose your koji. Koji are mold spores which serve as a fermenting agent for your base ingredient. It provides an enzyme that breaks down the starch molecules into sugars which can then be fermented. (I know that doesn’t sound at all pleasant but, when you think about it, it’s not far off the process of malting barley in whisky production.) The preparation of koji mixed with water and cultivated yeast is called the moromi. The most traditional type of koji – it is now most often used in the production of awamori. This mutation on the black koji first appeared in the 1910-1920s. It is said to be a very powerful koji and easier to handle than the black. It is most often used for making korui shochu. The yellow koji, first used in sake brewing, has become rather popular nowadays despite being extremely sensitive to temperature fluctations during the brewing stage. Once the koji is ready, it is added to the base ingredient for a second fermentation before the distillation. For honkaku shochu (the “authentic” variety) only one distillation (in a pot still) is allowed and there can only be one kind of base ingredient. This is the opposite of korui shochu which is typically a blend of multiple base ingredients and can be produced by a column distillation. How do you drink shochu? There are several ways: straight (which rather like missionary-style is practical but not always the most enjoyable.) Second: on the rocks. Alternatively, it is traditional in Japan to drink shochu diluted with hot water. Apparently, they pour hot (not boiling) water into a ceramic cup and top it up with honkaku shochu. A fourth, and more contemporary, method would be in cocktails. I can totally imagine a sizzling hot variation on a Bloody Mary being made with shochu. There are savoury, slightly umami characters that, in the hands of a good mixologist, could be amazing. To write the following tasting notes, I did methods 1 and 3. At first, I am astonished by the fruity and floral aroma. It is light, clean and with no strong alcohol presence. There is a slight sweetness too. Upon taking a sip, some earthy spice becomes apparent. It is very smooth (clearly just the heart of the distillation) and I am told that one of the characteristics that you typically find in shochu made with kikoji is a mellowness. I can’t argue. This is indeed very pleasant. I’m rather disappointed by the fact that I only have a small 4cl sample of this. I would happily share this amongst friends as an introduction to shochu. You may think you won’t like a white spirit made with mouldy sweet potato… well, I dare you to try this! This is also an imo shochu from the Nishi Shuzo Distillery. I learn that the distillery was founded in 1845. This shochu, whose name translates as “the angel’s temptation”, was aged in refill-sherry, oak barrels for 7-8 years. Oh gosh, this is far more original. There’s a musty smell jumping out of the glass. It reminds me of the smell of a freshly-opened tub of play-doh. That’s probably a reference that will speak to a very limited audience. How else can I describe it? A bit chocolatey, a bit smoky, a bit musky. The mouthfeel is also more powerful and more complex. You do feel the 40% alcohol. Diluted with water, it becomes much smoother and refreshing. There is still a taste of chocolate but it releases more subtle aromas too. Clearly a very high-quality alcohol but for the price (I’m told this retails at around 80 euros for 70cl) it will remain a very niche product.